High density foam tyre cushions designed to be used when storing your Aston Martin for any length of time. Designed to reduce flat spots when parked, the cushions mould around the tyre offering added protection. 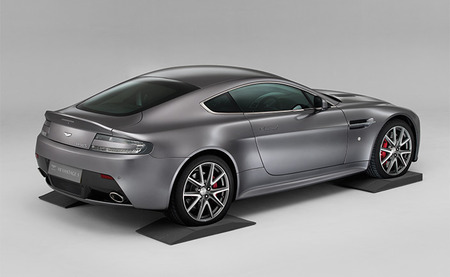 Suitable for all Aston Martin models the cushions are capable of supporting 2.5 tonnes and tyres up to 500mm wide. Branded with Aston Martin Logo. Shop with confidence at the Aston Workshop.